Once in a while a senior media executive gets confused and thinks that he owns a widget factory instead of an idea-generating enterprise. This person actually believes that he can get a group of journalists to do what he tells them to, allegedly in the interests of the company (aka, himself). Journalists are often accused of disloyalty by management because if it comes to a choice between the values of journalism and the reputation of the organization, most journalists tend to opt for the former. Not in all cases, it must be admitted. A journalists' own loyalty to his or her paycheque often places the scribe in impossible conflicts. But as a general principle, most journalists would prefer to plant a flag in the soil of doing what's right, journalistically. Some media managers have to find out the hard way as did Kevin Crull, the president and CEO of Bell Media, the conglomerate that owns, among other media properties, CTV, Canada's most popular and still commercial television network. Crull was reported outraged at seeing the head of the Canadian broadcast regulator, Jean-Pierre Blais, interviewed on CTV programs. This, after the regulator, the CRTC ruled in favour of cheaper cable costs and against the commercial broadcasters and the cable companies. So in Canada, beginning next year, the cash-cows of Canadian cable must offer a much cheaper (aka "skinny") basic cable for $25. Individuals may then opt for additional programs and pay more for the choice. Seeing Blais on "his" networks apparently outraged Crull. He ordered the head of the news network to ban him from appearing. Wendy Freeman, the president of CTV News passed along the fiat, which was quickly disobeyed by her senior journalists including, it is said, the host of the flagship newscast, Lisa LaFlamme and the senior Parliamentary correspondent Robert Fife. When presented with a revolt based on journalistic principles, Crull caved and was forced to back down. He released a statement of apology. Sources inside CTV say that this is not the first time Crull has attempted to influence the editorial staff and in fairness, even the boss should have a chance to get his point of view across. Whether journalists feel they must obey or be fired, is another matter. And presumably, it will not be the last time this happens. Next time, it may happen with a bit more managerial finesse. 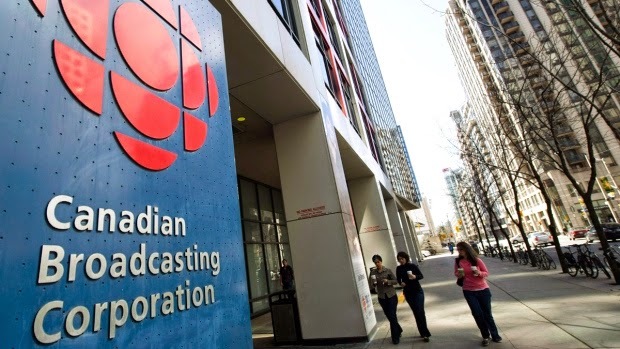 Meanwhile over at the public broadcaster, the CBC's editor-in-chief, Jennifer McGuire has announced more than 140 job losses in local news in English Canada. Another 100 are going in French-speaking parts of the country. No statement of apology for this wilful dismantling of a once proud news organization.